The Brotherhood Crusade, a 2017 MBK Alliance grant recipient and prominent organization in the LA MBK community, helps young men transform their lives as well as those of others in their families and members of their community. 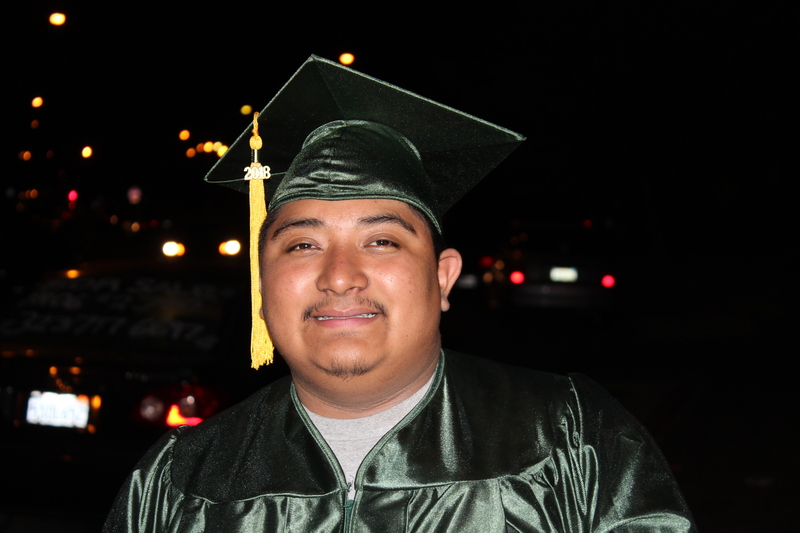 Hear from Javier, a young man who was directly impacted by their work, below. I learned the hard way who my friends and my foes are. The reason why there are too many funeral roses. I‘ve seen the teary-eyed mother and my neighborhood brother. All we gave them was a car wash then we jumped-in one another. We retaliated, of course, and talked about them for the rest of the weekend (but right here the feelings are a weakness so we resort to tweaking). See you don’t see the reality cause all you got was a peek in, so you think my barrio possesses the love that you’re seeking. Man my homies don’t care about you, they don’t make you a man (you’ll die on a murderess land). Honestly, I ain’t never met a homie I could look up to who didn’t have intentions to corrupt you. They took me under their wing and talked about family and culture (said they would watch over me like a brother, but really watched over me like a vulture). You wouldn’t believe the lies they fed to me. Now my life is dead to me because I have seen the lies I wasn’t meant to see. I proved my work in felonies. I burnt every strap they handed to me, and I still got hated on when it was just a vent to me. My pain means nothing to you. I found myself lost, I’m stuck in the streets, and I’m menacing with nothing to live for. I’ll find something to die for. Everybody has left me now, I’ve got nothing to cry for. Now pay attention little homies, because this life you’ll regret. I hope you understand that what you see, ain’t always what you get. My eyes are wide open, but just as blind as the facts. You think it’s about low riders and drugs. You think it’s about being on cloud nine with money on your mind. You heard my hood will make you famous – That’s a lie! I can’t call myself a man, if I let you walk blind. So I’m going to open up your eyes because it was years before I opened mine. My homies are going to hate me for this because they see you as a soldier. You are not supposed to know until your life is about to be over. My life is already over, and my heart can’t get any colder because my mom has abandoned me and there ain’t anything that I owe her. My life is soon shattered and everyday it gets sadder, but I can’t cry because it’s a weakness when a gangsters tears splatter. When my mom died that’s when I learned that crying is weak. I cried until the homies socked the tears off my cheek. You think my life is lavish? My life left me stuck. I’m living like a savage and nobody gives a damn. It gets cold when you’re alone and it’s every man for himself. They’ll leave you in the worst of health. It’s too late to live your life, I’m just a stripe on someone’s belt. I was born into this life. My childhood was off the hinges. I never played with toys, I played with syringes. I wasn’t born with a silver spoon. The spoon I had was stained. I got no regrets, but I learn from my mistakes. I am the man I am today because of it. The man who is going to finish school and the man that is applying for scholarships and college. I am afraid of the person I was, but I am not afraid of the person I’m becoming. Thanks to BrotherhoodCrusade, my future is bright and humming. They changed my opinion of school as a worthless, undesirable venture. Now I understand that education prevents me from being indentured. I said education homey, notice I did not say school. I did not understand the difference before, now I feel like a fool. But that does not bother me, because I now see the light. Thanks to Brotherhood Crusade my future now shines bright. They understood that I was more than a number. Brotherhood treated me as a human as opposed to a walking blunder. By helping me understand my talents, lifting up my value, and intentionally guiding my flight, I was able to self-actualize, address my unresolved issues of trauma and improve my plight. A new day is dawning and there is significant need for uniquely innovative approaches that resonate, Brotherhood Crusade is changing lives because it focuses on using connection to improve our fate. Humanizing young people, lifting their voice and causing them to understand who they are is their key. As a result of their pioneering strategy they changed thousands of lives including me. It is up to you homey, no one does it alone. If you want to change your life, make BrotherhoodCrusade your home.